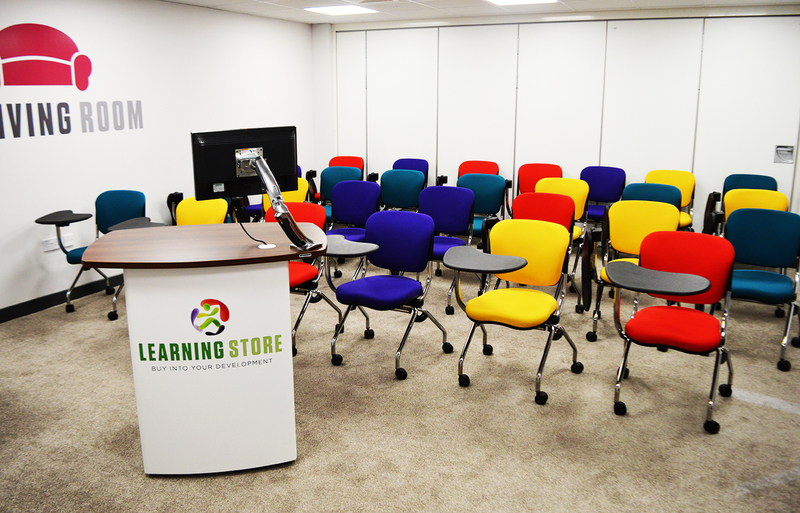 Due to recent successes in implementing customer development programs across the country, the Steinhoff Group (SGUK) built a dedicated corporate training centre called the ‘Learning Store’. The objective of the centre was to help deliver company growth over a 5 year period, with People development playing a major part. SGUK required furniture solutions for a reception entrance, a workplace office, four meeting spaces and three training rooms. Dalen Design Concepts were given the challenge to meet corporate branding, style, ergonomics and company dynamics to create an aspirational professional working environment. Dalen designed a custom made reception desk featuring illuminated corporate branding helping create a positive impression to all delegates. 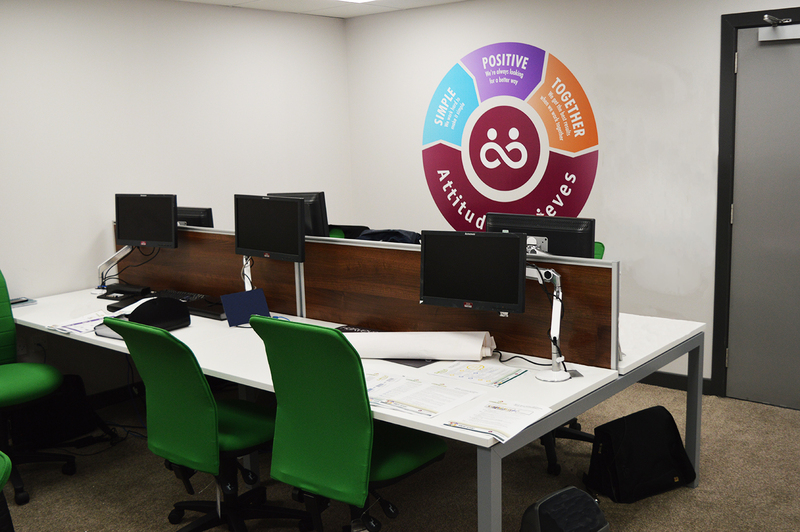 The desk was constructed with a bespoke curved shape, a stylish white body and high quality walnut top, helping reflect the high standard training environment, enforcing the corporate identity to motivate new recruits. Double benches with modern white worktops helped populate the office workplace, creating a professional working environment. Storage lockers were installed to help space management as well as ergonomic best practice to help make the office environment clean and tidy. Dalen specialise in planning and delivering workplaces that promote health and well-being. Dalen understood that SGUK required rooms for varied types of training formats. Using our flexible desking, Dalen provided a solution that allowed one-to-one meetings to be conducted for discussion and individual coaching, or alternatively a more relaxed side by side layout depending on the style of meeting. For larger training rooms, our training table solution enabled different desk combinations and shapes. This means student seating positions and overall alignment can be tailored to maximise the type of training method being used. 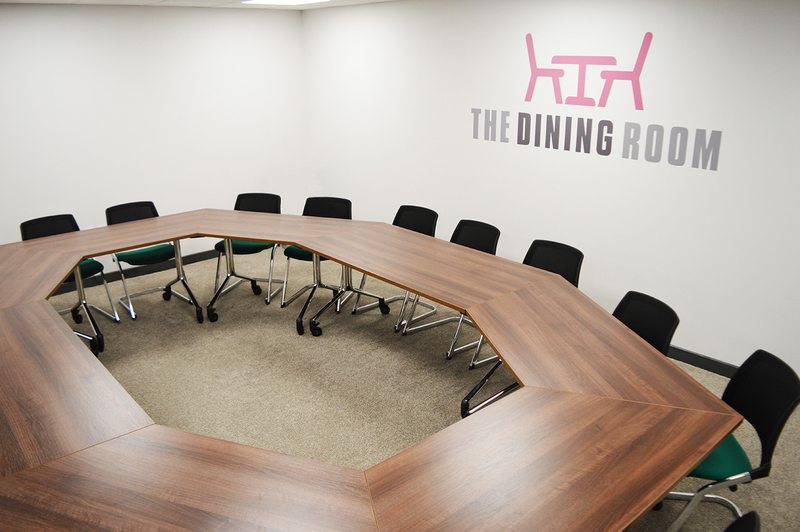 Provided flexible one-to-one and group meeting rooms. 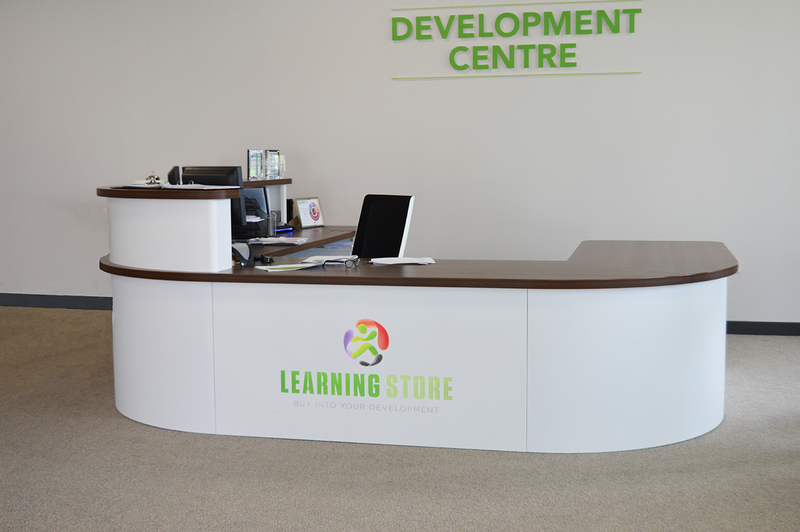 Custom built reception desk creating a positive first impression. Helped reinforce company message with quality finishes and bright colours and corporate branding. Created a workplace that promoted health and well-being and greater productivity.